A multi-sensory experience on sound and taste created with the artist and chef Alberto Lomas for JWMarriott' Taste the Moment in Singapore, 2018. Four soundscapes play around a modular dish (a base element + four dressings) to create unexpected combinations of sweet, sour, bitter and spicy leveraging scientific research, multimodal design and culinary art. The Enchanted Garden is an interactive installation for Changi Airport, Singapore. Using Arduino, the visit through the garden transfigures into a journey through Borneo's tropical rainforest and its living creatures' sounds. A project designed in 2013-2014 by Lorelei Sound Strategies for Kingsmen Singapore, awarded with the Singapore Design Award. An introductory branded video targeting GPs and MDs in Asia Pacific for Menarini Pharmaceutical. Lorelei worked on the sound branding identity of the international group of companies Italmec, headquartered in Singapore, designing the group's sound logo. The corporate video for Italmec Group of Companies. Singapore, 2013. An original soundscape for the five rooms of the Art Science Museum in Singapore, on the occasion of the exhibition "The Art of the Brick", 2013. The Dino room soundscape can be heard here. An exploration project on Ducati Motors sound identity carried out over a few months with Ducati Motors brand identity team. This is the first proposal, built around the concept of Ducati bikes as a symbol of eternal freedom. An exploration project on Ducati Motors sound identity carried out over a few months with Ducati Motors brand identity team. This is the second proposal, built around the concept of Ducati bikes as a handcrafted one by one, design with the heart. An exploration project on Ducati Motors sound identity carried out over a few months with Ducati Motors brand identity team. This is the third proposal, built around the concept of Ducati brand as an international mark of Italian design. 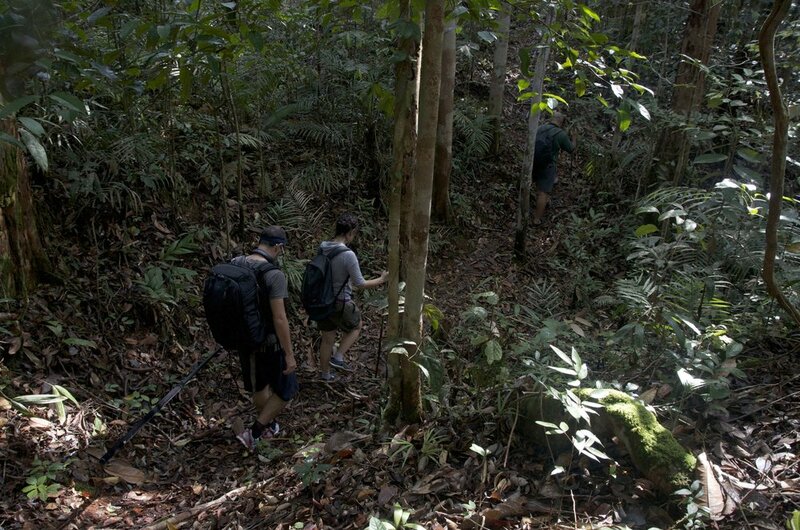 A 7 days expedition to record the sounds of the rainforest inhabitants (birds, insects) into the deep deep Sarawak, Borneo, 2012. An 8 channels surround sound live installation for the Launch of BMW 7 Series in Singapore, 2012. Foodfrequency is a research and performative project on sound and food. Developed as a team work in early 2010s, it brought together a chef (Giulia Massimiliani), a sommerlier (Giulio Bettarini), a DJ (Michael Byrne), two sound designers (Sara Lenzi and Marco Galardi) to create an immersive synaesthesic journey through tastes and sounds. It has been performed at La Cite', Florence; APOT - Melinda, Trento, Italy; City Bank V.I.P. Event, Singapore; National University of Singapore; Siam Design Hotel, Bangkok. A 2010 surround sound installation for the Luminarium, a temporary enormous structured designed by Architects of Air, UK. An extensive R&D project for FIAMM, world leader in electric cars batteries and hors, to design a new sound for the car of the future. Selected for Audio Branding Congress 2010.